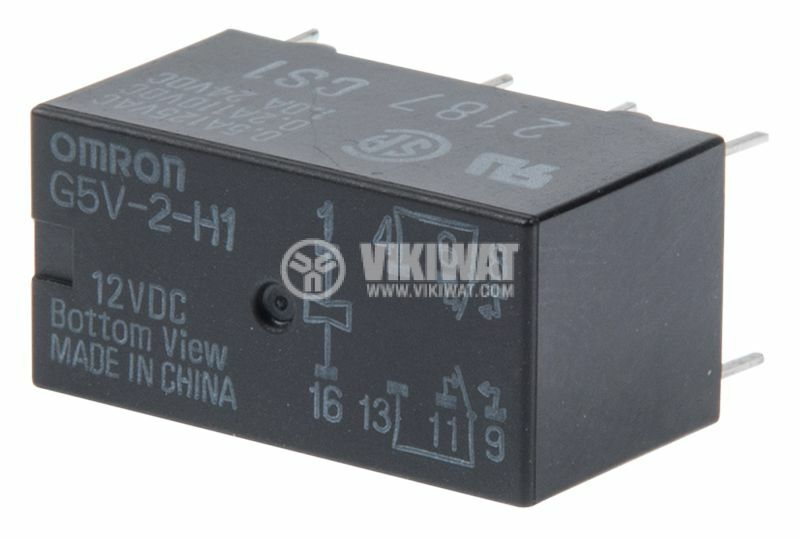 Electromagnetic relay G5V-2-H1 with rated coil voltage 12 VDC and contacts load capacity 0.5 A / 125 VAC. 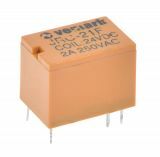 The electromagnetic relay operates high current circuits using low current circuit. 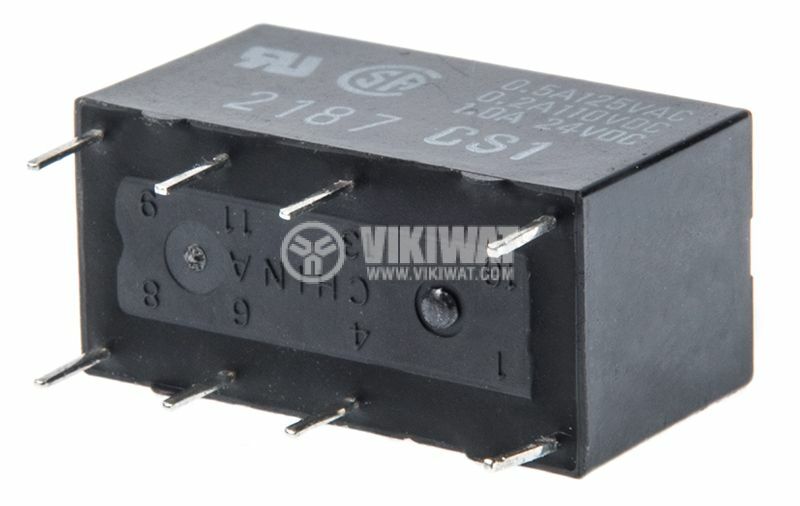 It is widely used in industry, home electronics, automotive industry, etc.